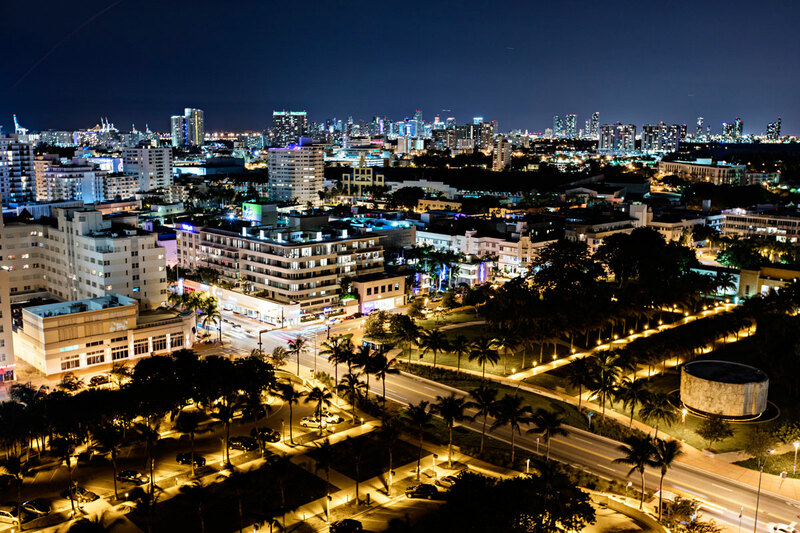 South Beach is a great choice for travelers interested in nightlife, restaurants and food. 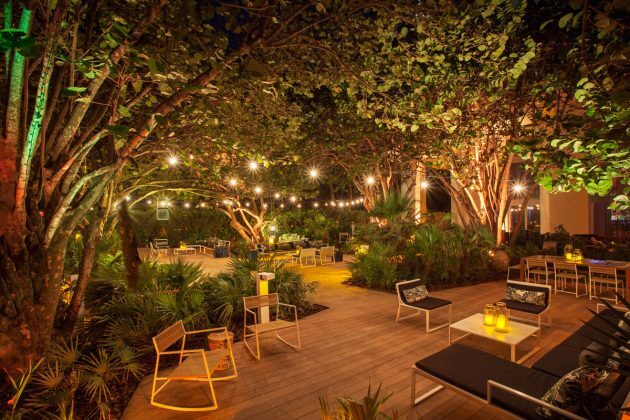 And if you add to it, a top-rated location in the heart of Miami Beach with all the comfort to slip into a memorable blissful weekend; you have reached Heaven on earth. 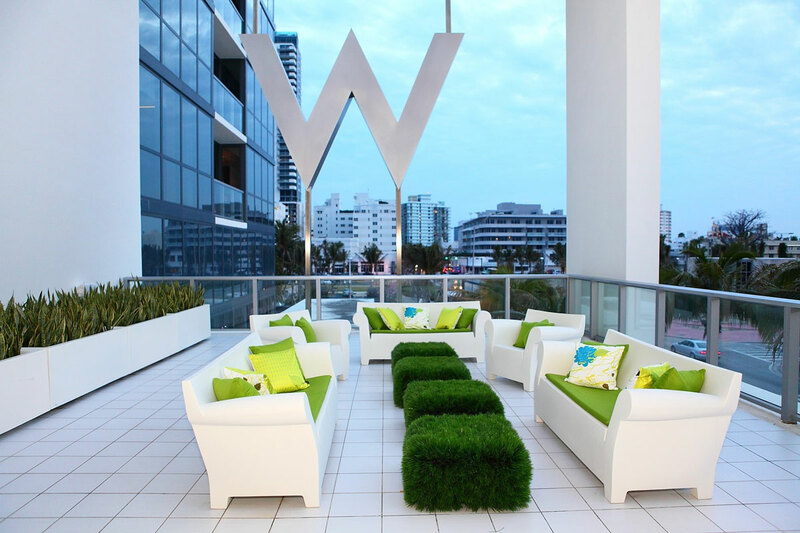 A weekend at the luxurious W South Beach Hotel is not only a glamorous stay, it’s checking into a place filled with museum quality art. Andy Warhol, Kenny Scharf, and Christopher Wool all have mind-blowing large works here. 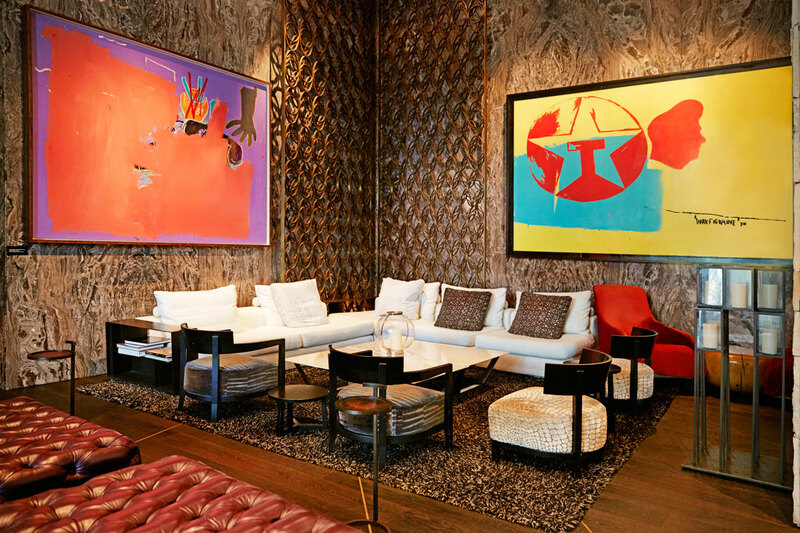 The owner and collector, Aby Rosen, also owns my favorite hotel in New York, the historic Gramercy Park Hotel that is filled with gorgeous cutting edge art from some of the top artists in the world. Right on the Atlantic Ocean and across from the under renovation Bass Museum and Collins Park, W South Beach Hotel features art tours of the collection in the expansive lobby and more art surprises await on each floor. 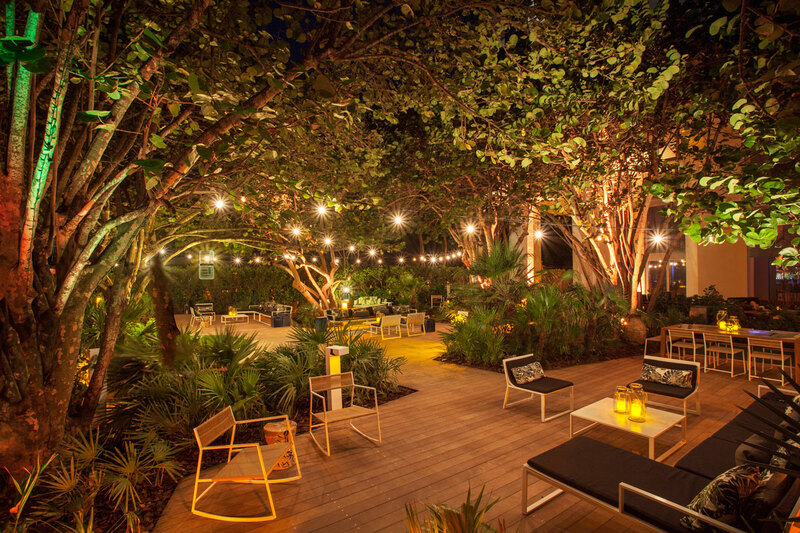 I recently stayed at this fantastic hotel in South Beach. The weekend started with a welcoming brunch in a private cabana out by the pool with pastries from The Dutch restaurant in the lobby and sparkling rose and mimosas. The dark wood cabana with crisp white couches had a bar and TV set as well as a music selection. Fruit pizzas were served, a slice of watermelon cut into wedges and festooned with blueberries, mango, pineapple and vanilla icing drizzled on top. After the indulgent feast a masseuse from the in-house Bliss Spa worked the kinks out of necks and backs. A dip in the huge heated pool was refreshing and scenic, while people watching the international crowd that W attracts. I heard French, Japanese and German all spoken around the pool. A quick rain shower sent us scurrying into the cabana but then just like that, in a few minutes the sun came out and the day was saved. W South Beach Hotel is set along the boardwalk and has a path to the beach. W has their own little tent city set up there, with shaded lounge chairs and tables. Setting up camp, a waiter appeared with menus for the Taco Truck where we ordered tasty tacos filled with jerk chicken, Baja fish and black beans. A quick dip in the ocean was wonderful as the water temperature in summer smolders at around 85 degrees. Swinging open my guest room door is a delight, as these custom decorated suites are almost 600 square feet, with a private balcony and striking ocean views as well as an expansive view of Collins Park and the enormous new Ugo Rondinone totem like sculpture of brightly colored rocks stacked vertically. The Bass Museum is under construction but the park is pristine and manicured. Come December it will be filled with world class sculptures and installations for Art Week. The room had a mini kitchen and a marble walk in shower with Swiss shower jets up and down the wall. 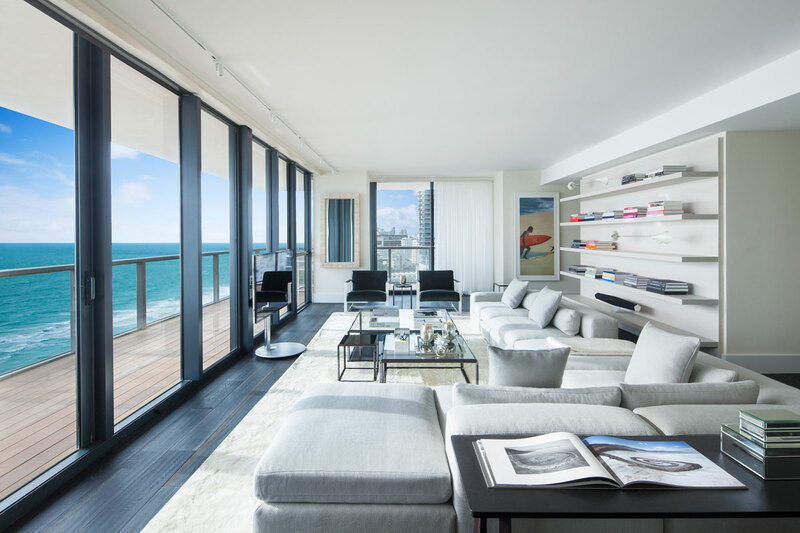 As luxe as the room is, we later had a tour of the duplex penthouse, with 3,000-square-feet, nine-foot ceilings and expansive glass balconies. A wall of art books and two full bedrooms and baths plus a rooftop Jacuzzi is a dream. 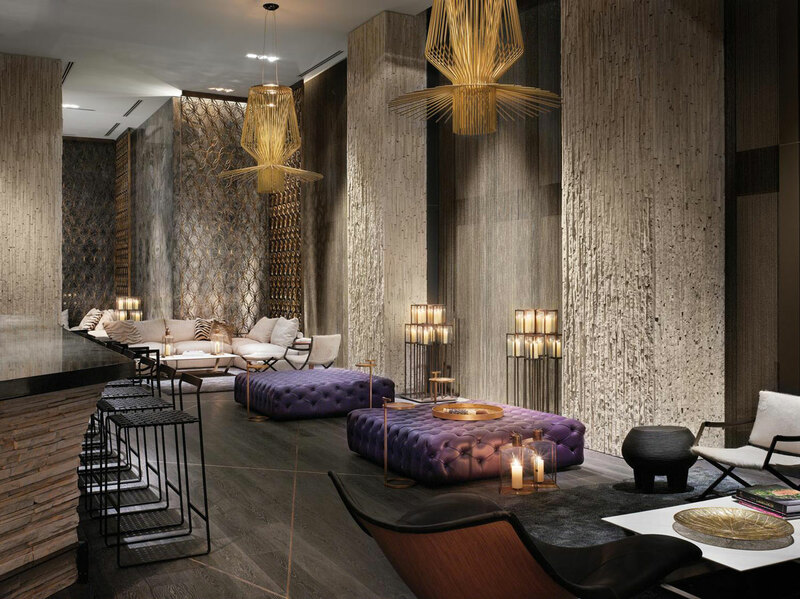 At up to $12,000 a night, only a few lucky guests get to enjoy this luxury. I popped into the Bliss Spa with several treatment rooms and a store that sells the Bliss line of lotions and hair products. The store opens out to Collins Ave., and the bath products were stocked in the hotel rooms. I liked the fresh lemon scented body lotions, a soothing treat after being in the sun most of the day. Dinner was next, a table at The Dutch restaurant in the lobby was waiting, an upscale eatery that is open all day with tables inside and out. Roots-inspired dishes are shaped for big-city palates with local ingredients if possible, top notch technique and some neighborhood charm. The chef is Andrew Carmellini, a two-time James Beard Award winner from New York City with a string of roaring hit restaurants including Locanda Verde inside Robert DeNiro’s Greenwich Hotel. 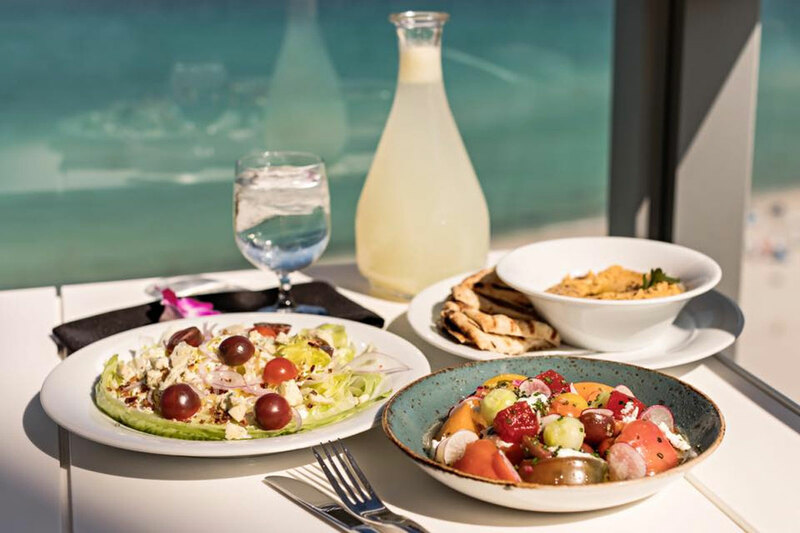 His Grandpa Carmellini was a fixture at Miami Beach’s Surf Club in the 40’s and 50’s. Andrew is also the author of two cookbooks, Urban Italian and American Flavor. I tried the Little Oyster Sandwich slider with pickled okra remoulade, as well as a little lobster roll with pickles. The main dish was artichoke ravioli with black truffle and pecorino cheese, a rich and satisfying dish. Desert was a totally indulgent chocolate rum cake with carmelized bananas and an almond milk cappuccino. After dinner I took a late night walk out to the beach to hear the waves rolling in the darkness. Back up in my room a knock at the door found room service delivering a fresh fruit pizza and a chilled bottle of champagne. 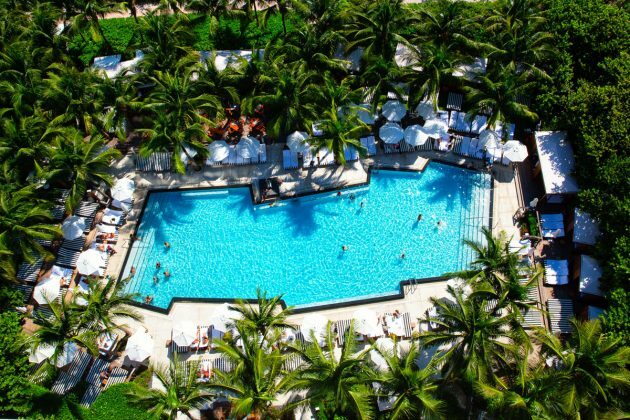 W South Beach Hotel sure knows how to spoil a girl here. My big white bed with lighted headboard beckoned as I flipped through the movie selections. At 2 a.m. I woke up to sit on the balcony and take in the glowing pink, blue and green neon lights of South Beach’s Art Deco district and the towers of downtown across the bay. This is quite a city, a gleaming pulsing, art and history filled place that is really quite unlike any other city in the world. Sitting out in the humid breeze in the middle of the night, 18 stories high, with an ocean on the left and a city on the right, it felt like magic. The next morning I had an art tour, their exclusive art collection is valued at more than $40 million. Original artwork is on display throughout the lobby Living Room Lounge, hallways and guest rooms from world-renowned artists, including Warhol, Jean Michel Basquiat, Julian Schnabel, George Condo, Tom Sachs has quirky kitty sculpture fountains outside, and photos by rock photog Danny Clinch in the hallways. 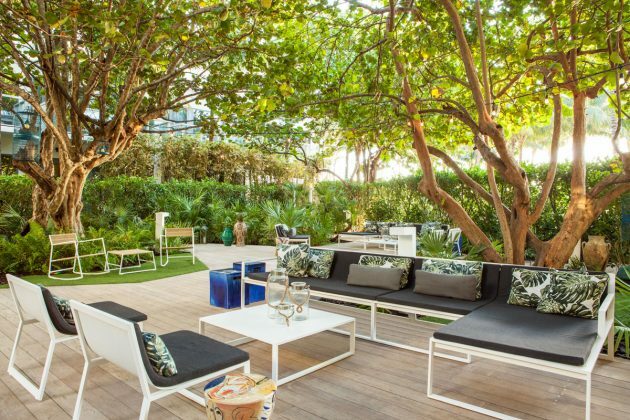 This is seriously work class, the Perez Art Museum in Miami had a recent exhibit that featured the very collaborations of Warhol and Basquiat that hang in the W Hotel’s lobby Living Room bar. I didn’t even get to the state-of-the-art fitness center; rooftop basketball court and tennis court or to Mr. Chow restaurant where celebrities and guests rub well-heeled shoulders. Keeping with the tradition of his other properties in Beverly Hills and New York City, the Michael Chow-designed restaurant features signature screens and black lacquer furniture, as well as artwork from Mr Chow’s private collection and unique elements, including a 125-foot gold-leaf and Swarovski crystal chandelier designed by Chow himself. Executive Chef Hou Lam Dicky Fung has led various fine dining establishments across China. Mr. Chow has become a celebrity himself, last year at an Art Basel Miami exhibit there was a life size Mr. Chow candle with a wick on his head made by artist Urs Fisher that Mr. Chow lit in a gallery. And now the weekend was over, reality beckoned with deadlines, but the world felt a little richer knowing that such an art filled haven can be strolled into any time at all. If you are planning a weekend getaway, visit wsouthbeach.com for an update on what’s going on during your stay.